Carpets are one of the most important and visible flooring in your house. They can either represent you as a well-managed family or one who is neglectful of their household chores. With the passage of time, if carpets are not given proper care and maintenance, they tend to lose their charm and become a habitat for dirt and bacteria. This is supported by the fact that carpets are excellent dust trappers but nonetheless if this feature of theirs is not rightfully exploited, it can become a limiting factor in the overall cleanliness of your house. Every single time you enter the house, you bring along a layer of dirt, bacteria, dust, and other things sticking along with your shoes. Without proper attention, they can damage the softness and smoothness of your carpet and cause it to feel rugged and hard. However, with our carpet cleaning services in Maylands (WA 6051), you can rest assured as our team will take care of everything and leave a brand new looking carpet for you. We will use our years of experience to inspect the carpet’s conditions, its type, hairs and the kind of equipment that will be required. Then accordingly we will plan out our work and initiate it whenever you are ready. If you have ever experienced with a maid or a servant, you will certainly have realized that it is very ineffective and does not provide you with your desired results. 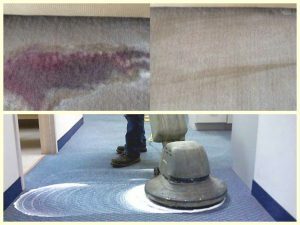 This is why, our team at Maylands (WA 6051) is equipped with professional tools and skilled people that know carpets from inside out. With our tons of experience, we have come through hundreds of different type of carpets and we know exactly the cleaning requirements of each and how it can be maintained for future usage. We will not only make sure that your carpet is clean, free from all the bacteria, trapped dirt and dust but also make sure that during the cleaning process no stain or chemical damage is caused to any of your floorings, tiles or furniture. This is because we know what we do and we are experts at it. We take responsibility for whatever we work on at your house and treat it just as if it was our own. Moreover, carpets are one of those floorings that get used the most by almost every single individual in a house. Be it your small children, your pets or even yourself! Hence it is of utmost importance to use those liquids and tools that will not damage and toxify your carpet but rather use such materials that will not only perfectly ensure cleanliness but also make sure that your carpet is free from any toxicity and harmful chemicals. Our team at Maylands (WA 6051) uses 100% safe materials that will ensure a toxic-free cleaning procedure to make sure that the carpets stay innocuous for your babies to crawl on or your pets to stroll upon. Most of the times people think that their furniture is clean even though it may not be. It is much more possible to have hidden on it thousands of microscopic bacteria and dirt that may not be possible to be simply scrapped off using a dusting cloth.No matter how much you try to maintain cleanliness in your house, dirt, grime, grease and stains are inevitable to be present on your furnishings especially those which are frequently used such as sofas. 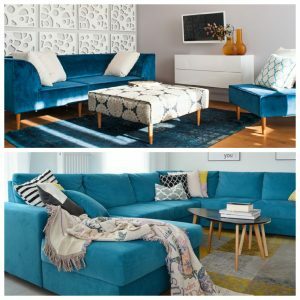 Every furniture has its own way cleaning nevertheless we at Maylands (WA 6051) are your perfect option for upholstery cleaning. Our team of professional and invigorated individuals know exactly the inch by inch of each furniture. Once you call us, you can rest assured and watch us do our work. Otherwise, if you think that this work may harm your other furnishings or you are uncomfortable with a team working at your house then worry not for we have a solution for this as well. We have our very own workshop in Maylands (WA 6051) where we can personally and exclusively treat your furniture that requires cleaning and then bring it back to you. If you think it is possible to achieve the same type of cleanliness level by cleaning everything yourself, then you are wrong. A specialized team consists of skilled individuals who will not only use their years of experience and expertise to provide you the best upholstery services in Maylands (WA 6051) but also advise you on how you can maintain that cleanliness for the upcoming months. Everything can be maintained and taken care of to lengthen their life span. This applies to floorings and furnishings too and our individuals assure to give you the best advice on this to save your money in the future and to preserve your things in their original condition for months to come. However, this does not mean that your furniture or carpets will become invulnerable to dirt, dust or other things. But this does mean that you will learn some sustainable strategies from us to keep your house clean while at the same time using it just like you usually would. Why Do You Need Tile and Grout Cleaning Services? Over time, dirt and debris builds up and accumulates in the grout between the tiles. This build up ruins the appearance of your tiles and gives it a disgusting and dirty look. The gathered dirt and debris can cause unhealthy bacteria and other chemicals to create an impure surface of your tiles. In some cases, this becomes a cause of concern for homeowners who are especially sceptic about their house’s beauty. This can also cause embarrassment when guests and relatives come over to the house for vacations or just for a visit. The accumulation of grout can be due to lack of care or unprofessional cleaning services. This can make your tiles lose their charm and become less appealing and dirtier. In humid areas like bathrooms and washrooms, this dirt and debris is extremely unhealthy as it can encourage the growth of fungus, mold and mildew. When this grout becomes a habitat of disgusting creatures in your house, it is vital to call a tile and grout cleaning specialists to get rid of the unhealthy looks of your tiles and revive it to its original appearance. 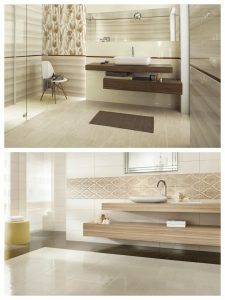 We at Maylands (WA 6051) are comprised of expert cleaners who have years of experience in this field and will make your tiles good as new, just exactly as you want them to be. Our team only uses those equipment that are non-toxic in nature and that will completely extract out all the trapped dirt. The grout in the tiles can cause ‘premature’ ageing looks to your tiles and that is exactly what we will take care of to make sure that the original looks of your tiles are recovered and they look good as new. Apart from this, you do not need to worry about any chemical damages as we will also ensure that your tiles do get any unlikely markings, stains or anything that is not appreciable. Our only concern is your satisfaction and hence our objectives are all narrowed down to one motive, which is to provide you with the best cleaning services in Maylands (WA 6051). Our team consists of determined and passionate individuals who love their work and love to do their work in the most efficient of ways so that our customers are satisfied. We assure you our quality of work and we will also advise you regarding the maintenance of your tiles to conserve their beauty without having to waste money on replacing tiles or consistently buying the services of unprofessional cleaners. As you may have understood the importance of cleaning services for your home, be them for carpet cleaning or other floorings, or for tile and grout, all of them play an essential role in the appearance of your house. You can contact us today and rest assured about the quality and efficiency of the work as our proficient technicians will ensure that you receive your desired results and the looks that you wish. If you have any questions, you are more than welcome to ask us your queries and we will be pleased to clarify your confusions. If you are not aware of the process steps, the prices or how everything works, our team’s technicians will explain everything to you including the equipment that will be used, the approximate time requirement and the price. You may even receive some discount depending on the amount of work you require from us as for bulk work, we charge less than the usual price.